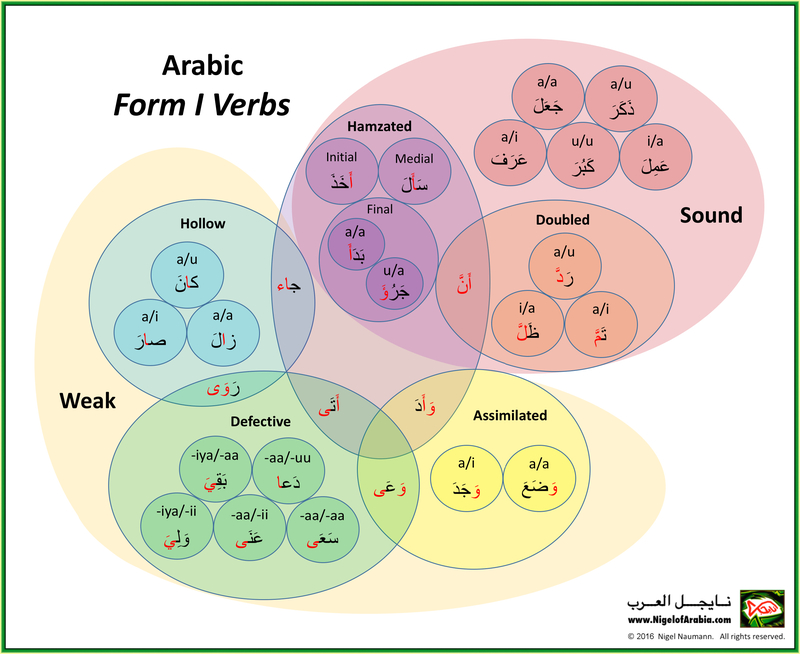 It turns out there are at least 28 kinds of Form 1 verbs in Arabic, and what better way to visualize them than a colorful Venn diagram! So what does this mean exactly? 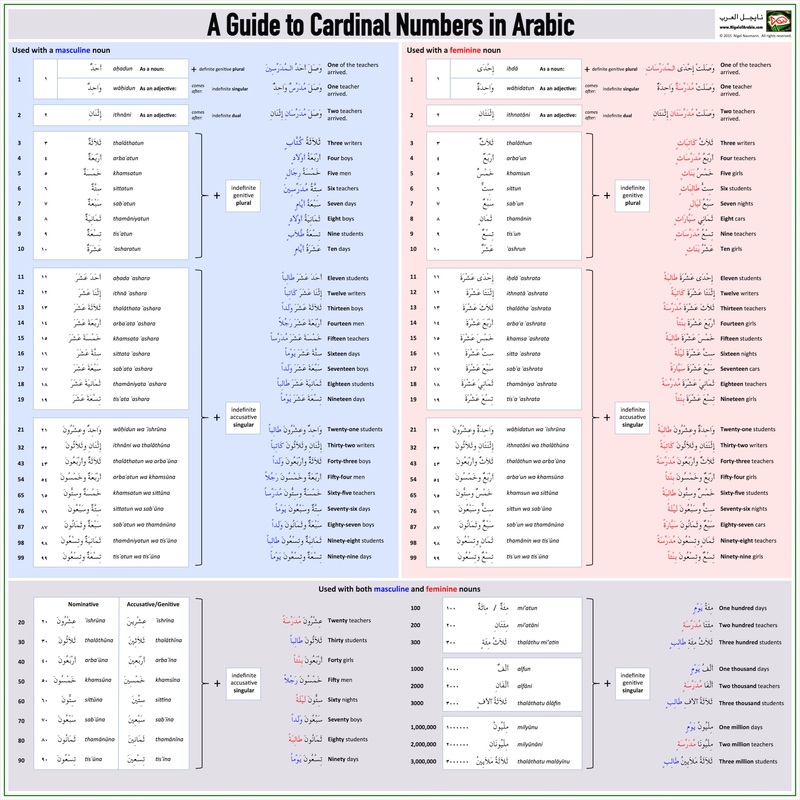 Well, this means that each type of Form 1 verb will have slight variations in how they are conjugated, both in the perfect and imperfect. So it’s important to be aware of these differences so that you vowel verbs correctly, and also omit, change, or double certain letters where applicable.